Our client is an extreme transformation project to integrate their Process & IT and Business Services for all countries to share the best practices in a huge Centre of Excellence, supporting united Europe. This is a great place to be…There will be a multicultural but friendly and inclusive working environment and start-up atmosphere (passionate, energetic people), but backed by a leading company. Of course, corporate language is English. Our goal is to find “passionate about technology” and service-oriented Senior IT professionals, willing to relocate to the beautiful and lively Prague (check here cost of living comparison=> Cost of Living in Prague). Conditions (Salary, Contract & Dates) will be discussed in the first interview with GT Linkers´ associates. 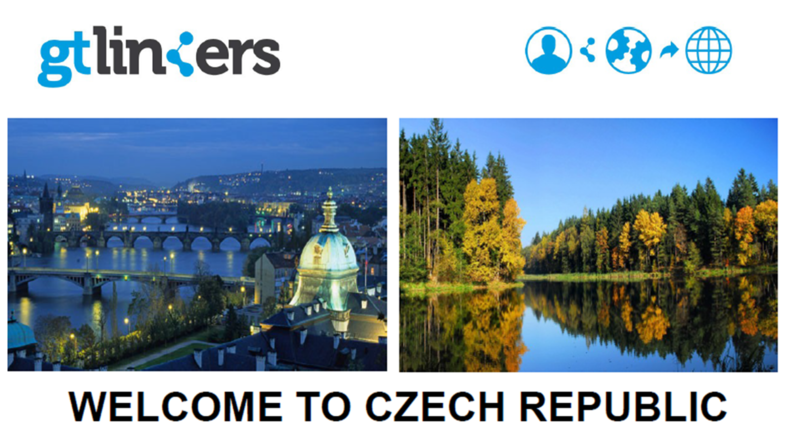 Please, check GT Linkers´ Relocation Guide for Prague. UI/UX Expert (5 open vacancies): +4 years of User Experience design experience for software, Web applications which leverage emergent technologies, consumer electronics and/or mobile devices and executing interaction design and visual design as a part of a multi-disciplinary team. Exceptional design skills, production value and attention to detail. + 3 years of experience in interaction Design, HCI, or a related field and experience with user interface design patterns and standard UCD methodologies. Information Security Architect (4): Design and lead implementation for Security Solutions and services. + 10 years experience in Security. Security certifications desirable. Developer (3): + 5 years experience. Desirable 2 years experience. Strong understanding of NonSAP or Front End Applications, Agile Methodologies. ABAP,C++,.NET,PI, C++,.NET, HTML5. IT Infrastructure Expert (3): Experience managing and operating UNIX and Intel infrastructure and ITIL processes. Experience in virtualization. Knowledge on storage implementation / configuration. Solid Knowledge on cloud infrastructure. Experience moving services to the cloud. Experience managing and operating UNIX & Intel infrastructures, as well as ITIL processes. OCM Subject Matter Expert (3): Design and execute the required change management practices in order to enable the successful execution of the initiatives being developed by the scrum team, including change of leadership and advisory services (adoption), project training and communication support. JR Process and System Analyst (2): Creation of functional designs to translate business needs into technological requirements. IT Background. At least 3-5 years experience as a Business Analyst, on large and complex projects. Partner with the business within assigned area of responsibility. Identify stakeholders, gather and validate project requirements. Prepare business model analysis. Identifying issues, best practices and risks. Design Thinking Expert (2): +10 years experience in leading innovation / transformation processes. Expertise in the use of innovation methodologies. Certified in Design Thinking methodology. Design Thinking Expert for Change and Transformation. Digital Producer (1): Expertise in producing multimedia material combining video / audio. Expertise in the use of multimedia producing / edition tools. Digital strategy, analysis and project management. Mobile Architect (1): Responsible for design and build solutions using Hybrid Architectures and Mobile Technologies with a complex integration of SOA Services and APIs. Business Process and System Consultant (1): Understand and translate business needs into business process models and IT solutions under the client´s business process frameworks and standards. Visual & Motion Designer (1): Graphic / multimedia designer with +5 years experience. Candidate shall demonstrate samples of her / his work. Visit our website www.gtlinkers.com and apply to this opportunity through “Jobs“. GT Linkers is an international head-hunting and recruitment boutique with offices in Madrid, Valencia and Miami, specialized in Engineering & Technological environments: We recruit Technical Experts, Middle and Top Management professionals for both Business and Corporate areas. Thanks to our dynamic methodology, based on mutual trust with candidates and companies, our efficiency operating with an international scope, communication as the key to build long-term relationships and passion for our job, GT Linkers has proven records for running recruitment processes in more than 20 countries with candidates from all over the world. Join our Global Talent Network and follow us on our Social Media profiles, which is always updated with current vacancies: LinkedIn, Facebook & Twitter. ¡Welcome to our blog! ARE REMOTE RECRUITMENT PROCESSES TRUSTWORTHY?